Inspection of conformal coated circuit boards is a critical process that should be carried out on completion of the finishing process. 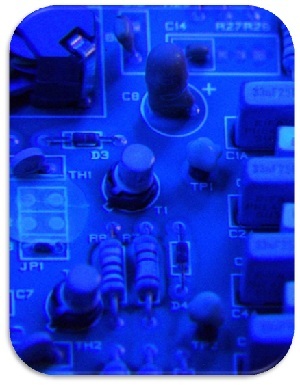 However, it is often neglected stage of the conformal coating process. The standards such as IPC A 610 are explicit in their requirements for conformal coating inspection yet few companies actually inspect to that level. Inspection is completed by two methods. The first is a manual process completed by an operator within a suitable space such as an inspection booth with a UV light source and the second is an automated process using a conformal coating AOI (Automated Optical Inspection) system. Manual Inspection of circuit boards after conformal coating application is the main method used by >95% of the electronics manufacturing world. There are two critical points when considering inspection & finishing and they all relate to Creating the optimum environment. First point is to provide the perfect conditions where an operator can easily inspect conformal coated circuit boards without fatigue to body or eyes. This will provide the highest quality results for the conformal coating process. Once this is complete the second critical factor is to provide a work space that will keep the operator safe from the harmful effects of solvents if they are used. Complete these two points and the operator will have the perfect conditions for inspecting conformal coated circuit boards. Automating a conformal coating inspection process can be a difficult process. The coating fluoresces and is transparent allowing the colours of the circuit board below to interfere with the analysis of the image. Link this to a 3D structure and this can be extremely problematic for high-speed processing. It has took a long time to develop AOI systems that can meet these challenges. 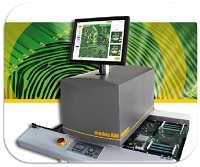 However, Modus, a German AOI company has specialised in this area and now provides camera and scanner based technologies which provide a range of solutions for conformal coating Automated Optical Inspection (AOI). 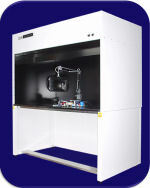 SCH Technologies distribute a range of purpose-built, compact and coordinatedconformal coating Automated Optical Inspection (AOI).